Claire was up at a decent hour, and on the phone to her boss, she'd never taken a sick day before and so they were quite surprised. Once that was done and out of the way she had a brisk shower before returning in a black turtleneck with jeans, appearing to be very fond of items of clothing that hid her neck and wrists as well as her ankles. "Right, I'll be back in two to three hours, Mana wants to show you the tv. Enjoy" with that she was gone not bothering about breakfast. Mana happily bounced up and down and once killian was ready flicked on the dvd player and put on the first of the POTC movies. With the morning sun giving the impression that the day would be fairly calm, the red headed captain allowed one of her crew to take the wheel. With her fox once again curled around her neck and shoulders, she made her way down to the brig where she'd left the newcomer overnight.At least confined in one spot, there would be less vomit over her ship. He should be right to get to work after a night getting used to the ship. Rapping on the bars and not caring if she woke him up, she tugged the door open and dragged him to his feet roughly. "Work time, boy. If you're staying, and it looks like it, you're going to earn your grub." She pushed him out, to where her storemaster was waiting to give him a quick lesson in how everything worked. Killian had retreated back inside after the sun had come up. he'd watched it, wondering if his captain was doing the same, and then moved back inside. He eyed Claire cautiously, curious about what she was going out to get, but he asked no questions. He'd wait for her to work her thoughts out. Turning his gaze to the strange talking contraption, he settled carefully on the couch with Alkira on his lap, frowning at the pirates. "That's not what pirates look like." He hadn't slept, and was sitting hugging his pack to himself, suddenly the captain of the vessel was in his cell dragging him up onto his feet and pushing him. Complying with what she wanted a thought made him stop her before she left "Wait! uh er um please?" he fidgeted a moment "Is there anywhere you can keep this whilst im working? Preferably somewhere less wet as possible" he didn't want to ask something of a pirate who had pretty much turned him into a slave but that was better than being tossed over board. He waited anxiously wondering if she'd turn him down, what would he do if his precious things got wet? Claire didn't answer the question about what she wanted in return, she wouldn't even be helping him if it wasn't for the fact that he was straight out of one of her books. If anything she likely would have been a completely different person, she gestured towards a door and lead the way into a study. Once he was inside the door was closed and a light flickered on, revealing that the single window was bordered with silver. The door was the same, a simple rod of silver was attached to the bottom of the door. Taking the chair she spun around and looked at him quirking a brow in question, supposing that if he'd trust her enough to explain everything she'd have to show him a few of her books in return. Which was fair enough, Cynder was not in the room she was in the rest of the apartment forcibly grooming mana much to the cats disgust. Nathan learnt quickly and worked hard, despite not having eaten since the day before he wasn't hungry enough for dinner. Sitting on the deck of the ship after the rest of the crew had gone to bed the gentle natured young man sighed. He missed his camera and photos, and the small but comfortable car that he used to get from site to site. He wondered what his brother would do if he were here, heh likely fit right in, Jacob was a pirate in a sense whereas he couldn't hurt a fly. He could deal with blood and gore, he'd dealt with many wounded animals after they'd been hit by cars, the idea of hurting another seemed repugnant to him. "What am I going to do.... I don't belong here" he still felt a little queasy at the rolling of the deck underneath him, his normal light hearted smiling self was gone. Leaving in its wake a serious, thoughtful, intelligent being, this self normally showing when he was in the middle of photographing things. He followed her, hesitating at the door of the room. He could feel the silver in the door and the window, and was wary of it being a trap. He had no choice but to trust her, however, if he wanted to get back, and he stepped over the threshold, the presence of the silver waking the shadow in his back. He sat down, shifting in shoulders in response to the pain, and slipped his hand into his pocket. The scarred fingers curled around the carved orb for a moment and then be brought it out, setting it on the desk between them. “I have cause to believe it was this,” he finally said once the door was securely closed. Alkira had followed him and was sitting close to him, her hackles half lifted because of the silver. She trusted it even less than he did. She didn't move, just watched him cautiously as he moved over and set the item down. Not touching it her gaze ran over it before she paused "I know this, or rather items like this. Ice had one like this for a while, it helped her control those she considered her property", finally noting the jackals hackles she added "Its more for keeping her shadows out than any of us in, Never create a room that you cannot escape from" her gaze returned to the unnasuming object that rested on the table. Ice did not need another one of these, it would be better for the world to destroy it or send it back, although if it was sent back would it become the item that Ice had in her posession? Thinking along such lines made her head ache so instead she looked up at killian "You might as well get changed, while you do that I'll grab the books" standing she threw the item a wary look knowing first hand what it could do before the door was open and she was heading into her bedroom. He wasn't afraid of hard work, having been taught nothing worthwhile ever happened without putting some good old fashioned hard work in. Words jerked him out of his thoughts "hm? Nathan" he didn't bother replying to her surviving comment. Counting and taking notes of things was hardly surviving, that was just studying in a way, who was Mordhel? Was it the black fox? Whatever next, unicorns surfboarding on rainbows? heh he'd pay to see that, maybe get some photos of it. "Well waking up on a ship in the 1700's does make one feel that way, especially if they last remembered being in 2016" she'd probably assume that he was nuts or something but who cared. It was an interesting feeling, hungry and not hungry at the same time, perhaps the queasiness and uneasiness was making him ignore the quiet gnawing of his stomach. He glanced down at Alkira at Claire’s comment about the silver, only noticing the hackles for himself. “She’ll be wary for a while,” he murmured, half explaining. Taking the bag, he examined the strange clothing, and changed quickly, tugging his coat back on over the top. He needed the dark fabric to keep the shadow in his back quiet, and he wasn’t going to get rid of it just for the sake of fitting in. Pondering her words about Ice having had one, he made himself think of his past, trying to work out if he’d ever noticed her having something like it. 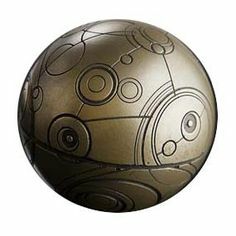 His gaze rested on the orb as a jolt ran through him, and his shadows fled to him, hiding in the deep pockets that kept them safe. Trying to console them, he began to pace, trying to work out what had happened. His sister’s shadow wasn’t where it was supposed to be, but whether that meant they had also been thrown through time, or just Mel, he had no idea. Whistling cheerfully to himself, Julian saddled the easy going gelding, intending to go and check on the cattle in the top paddock. It had been a few days since he’d last checked the cat traps up there as well, so that was also on his to do list. With a couple of dogs at the horse’s heels, and his hat firmly on his head, the young man was soon making his way through the hills. Once he was certain that the cattle were fine, he turned the horse’s head for home, only stopping when he noticed that the dogs were interested in something hidden at the corner of the trail. Knowing that it had been the place he’d put one of the traps, he simply assumed that there was a cat in it, and dismounted. Securing Ned, the man untied the gun he’d brought just in case, and moved over to where the dogs were, sending them a few paces away with a sharp word of command. By the time he had made it out into the living room Claire had left four books on the coffee table. They were thick and carefully created with what seemed to be a mixture of shadows and careful planning and skill. The pictures moved, playing out what the words on the page adjacent said. They were all in pristine condition despite obviously being old, well cared for and protected. Claire was in the kitchen talking on the phone to someone at work, the dragons mis matched eyes looked up and she allowed mana to escape her grasp. The violet of one eye was in stark contrast to the green one that was almost a mix of Manas dark green eyes and claires. A slight smile appeared "Ma'am Captain. My strange bag has things in it that would blow your mind. But no i have no bronze orb" at her mention of food he shrugged "I'll just be sick again and i do recall you telling me not to spill my stomach contents all over your lovely ship Ma'am Captain" not that there was much left but that was fine. Perhaps by mornings dawn he'd feel up to trying whatever they called food here, he sighed turning his gaze heaven ward quietly. Her head had turned, she'd lost track of how long it'd been at least several hours as she'd let herself be trapped just as the sun had peeped over the ever distant horizon. Hearing the dogs she bristled her feathers poofing out to make her form look bigger, when one dogs face appeared next to her chosen cell the injured bird turned and attacked quite boldly as well as she could. When they left she settled back down again, the scratches from the cat had long scabbed over. It was her wing that irritated her, from the feel of it the mangy thing had bitten at it as well. Steps sounded. human. The floofy bird watched and waited. Spotting the books as he came out, he frowned at them a little. They looked to be very old, and he hesitated to touch them for now, preferring to wait until Claire was ready in case she had something else she wanted to say. He settled himself on the couch again, still half distracted by the feel of his lost shadow. He couldn’t do anything about them, or his sister, right now, and shuffled the feeling away, focusing his gaze on the books again. He wasn’t sure he wanted to be reading about himself, even just the thought of it was starting to make his head hurt. “Just captain will be fine,” she corrected, sighing softly. She’d been right, he was here to keep the balance. Which meant that him going back to wherever he’d come from would rely on whatever her first mate was doing. She turned, leaning her elbows back on the railing to watch him, curiosity in her clear violet eyes. “How are you with heights?” she inquired. Putting him in the crows nest would cure him of any sickness that remained. Restless now, she returned to the wheel, correcting their course slightly, and began to sing to herself, lost in thought. Seeing that it was a bird, and not a native one either, Julian put the gun aside, crouching down to pick the trap up. “Well, aren’t you in the wrong country?” He studied the bird, noting that it seemed injured. It wasn’t an injury that had been made by the trap though, and he frowned slightly. He straightened, careful to keep the tap steady so he didn't hurt the bird more, and picked up the gun to re-secure it on the saddle. He whistled to the dogs as he mounted, making sure to keep hold of the trap and nudged Ned towards home. He wasn’t going to risk letting the bird out until he knew how scared or dangerous it was. Her tone went colder and colder as the call lasted, when they finally stopped yipping at her she sighed ending the call. Well it seemed it was a good thing she didn't take time off work often as apparently the office was filled with nitwits. Walking back into the room she sat at the other end of the couch, she never had people over so the couch was the only seat available in the room. Cynder had found a patch of sunshine and was watching the man intently again, there was something there that she recognized. More than the fact that she knew who he would become, she didn't shake her interested studying stare as Claire gestured for him to go ahead. She'd asked him something and then left, reluctantly getting up he followed her "Average" he'd climbed trees to take pictures of birds in a rainforest and other times but that didn't mean he liked them. More he had to be careful not to look down unless it was where abouts he was going to put his foot next. He remained silent until a thought came to him "Would you like to see what I do for a living in the future?" he hadn't planned on it before but she seemed less likely to wreck them now. His photos, and his cameras were his life and his passion, he loved capturing moments forever, be it a line of ants carrying things to their nest or the moment when a pair of sparring stags crashed together. He glanced up at her, more listening to her tone than what she was saying. “Sometimes It’s easier to work alone,” he said simply, picking up the first book. Feeling the intensity of the dragon’s gaze, he paused and met it evenly, waiting to see what she would do. Alkira leapt up to curl between him and the arm of the chair, forcing herself to fit there. She knew that she’d be safe in the smallest space for her, and he starched her head absently, finally taking his gaze off the dragon. Handling the book almost gently, he leafed through it, skipping over the mentions of his past, frowning a little. There was something familiar about the books, he just couldn’t put his finger on it. She broke off her song when she noticed him come closer, unwilling to let him hear her singing. As she thought through what else he could be used for, she nudged Mordhel with her foot, sending the blind fox trotting off with his nose in the air. “There are different jobs in the future?” The idea intrigued her, and she tilted her head at them. “What sort of jobs are there?” It was when she was alone that she allowed her natural curiosity to shine through. With the rest of the crew, it was hard to let it show, and so she’d had to develop a mask to keep them from finding out her weaknesses. But this stranger didn’t seem the type to want to hurt her, so she’d let him in, just a little bit. Once he was back at the house, he placed the trap on the ground while he tended to his horse and the dogs, before he picked it up again and put it on the table on the verandah. Still not opening it, he examined the bird as best he could, talking softly to it in hopes of keeping it calm. Though it appeared to be a very calm bird in the first place. Spotting what seemed to be the main issue, he made a face, suspecting that the cat he’d been trying to catch and gone for the bird. “Well, that’s a nasty bite. Off to the vet’s with you.” He didn’t have anything that would let him tend to the injured wing. He was more used to simple cuts and scrapes. Humming under his breath, he took the trap to the truck, and set off into town to the vet’s. She relaxed a little when she noticed the way he was handling the books, "I'll never work alone" not in the true sense of the word, she had her shadows and Cynder. They were more reliable than real people, standing she wandered over to a window to stare out of it, the books that she'd cherished and protected. They had given her a window out of the small concrete room that had been her life, she'd wanted to be free to do as she wished like the man in the books. A love of the sea had been given to her through them as well, how utterly foolish she was. A pathetic little school girl, ah there she went sounding like ice again. How long would it be before he figured out she was of Ices blood, he would turn on her then . Nathan paused "Hold on a sec Captain Ma'am" he vanished down into where she'd taken his bag and returned with it. Finding a barrel to sit on he opened the bag and fished around before offering her some photos he'd taken before being sent here "I make these for a living, sometimes they get published in magazines if i'm lucky" he told her with a slight smile. "Jobs wise, theres all kinds of things, people who make big metal birds that fly, people that drive them, people that save animals from extinction"
She wasn't bothered as she was left on the ground, the bird appeared to be cooly indifferent to the goings on around her. Her feathers had relaxed and she looked her normal avian self again, she didn't try to get out of the trap either just waited there. Soon enough she was lifted onto a table and the man began talking to her, her gaze locked onto his face staring at him intently. Although when he mentioned vet the bird appeared confused before its feathers fluffed up again. What was that? She didn't know what that was, she was set down inside some kind of carriage and when the thing came to life the bird freaked trying to get away from whatever the noise was. It took quite a while before it settled back down again, and then itwas wedged into a corner, feathers poofed and a wary frightened look in its eyes. Finally pinpointing why the books were familiar, he frowned at them darkly. It was his handwriting. Glancing up at Claire as she wandered to a window, he decided to say nothing about who had written the books, keeping that piece of information to himself. “Where did you get these?” he finally asked, pausing in his inspection of the book to look at her again. He couldn’t understand it. How could he have written these, and why? They contained everything about him, every bit of his past that he wanted to hide. Leafing to the end of the last book, he let his scarred hand rest on the pages gently. They ended at a point that had happened to him only a week or so ago, confusing him greatly. He continued to talk to the falcon, hoping his gentle voice would help keep the bird calm. Noticing how stressed it looked, he tugged his jacket off and draped it over the trap, sending the bird into darkness. It would help calm the animal down on the drive in. Finally making it, he left his jacket over the trap and headed inside, getting a little sidetracked by a conversation before he followed the vet into an examination room. He distracted her from her thoughts "I did not get them, they were given to me" her forehead leant against the cool glass. Reminded of who had given them to her she wondered for the billionth time why he had stopped coming, one day he had just stopped coming back. Oh well, she only relied upon herself and her shadows now, self sufficient, because of them she had never truly been alone in her life no matter what she'd gone through. Inhaling softly she watched the clouds slowly beginning to gather in the sky, reminding her of what was to come. "I have a jacket you can borrow when you're out and about" giving no hint she knew of his back she turned and vanished into her room. Returning she offered him a folded up jacket that seemed old and well taken care of, it was a mans jacket, a dark black and of surprising thickness. When slipped on it fit him as if it were made for him. He placed the photos in her hands when she seemed hesitant to touch them "Extinction means when theres no more of that animals species left like... if foxes were extinct then they would all be dead, none left." he explained trying to make it easier to understand "Magazines are like the paper but more specalized so theres ones for gardening and that" oh that was right "oh yes the photos with plants on them, have their garden name and scientific name on the back of them. That ones a skeleton flower"
The voice helped a little, although the sudden change to darkness surprised her and reminded her of her shadow. She called out trying to search for the creature again, where was it? Thirsty, hungry and quite displeased with hthis situation she was picked up again in the cage and carried in somewhere else. Then the walking stopped and conversation was heard, discovering that it was mainly small talk her beak clamped around one of the bars that kept her in. Moving her head she tried to move the metal but found she couldn't, however it created a loud pinging noise when her beak slipped which hurried everything along. She was set down on a hard surface and the jacket removed revealing a bright light, her gaze flicked from the one who had brought her here to the other. Sharp, direct, and with a glitter of irritation at being kept in the infernal cage for so long. Lifting one foot she grasped the side of the cage and emitted a fierce screech of demand, rattling the cage as best she could her foot lowered. He tilted his head, closing the last book and placing it back on the table. “Interesting,” he mused, studying her. He took the jacket, the smell of it making Alkira perk up a little, and he frowned at her slightly. She wasn’t to give anything away either. It wouldn’t be right. “If you don’t mind me asking, how long ago was it that you were given them?” Though most of his attention seemed to be on Claire, he hadn’t missed his younger shadows attempting to sneak off and play with Mana. Keeping half an eye on them, he allowed it, knowing they’d get into mischief, but it was nothing that couldn’t be easily fixed. “They’re light!” She was surprised, somehow having expected the strange images to be heavier than they were. Handling them carefully, she looked through them intently, taking in the different types of flowers. She adored flowers, and gardening, and helping things grow, and she knew that once she was bored of pirating the seas, she’d settle down and grow herself a garden to keep her safe from anything that might want to hurt her. Once she’d taken up the mantle of her heritage. “How can something be all dead?” she asked softly. “There’s always a pair to make more.” Confusion glittered in her eyes when she looked at him, not really understanding. Julian winced a little at the demanding screech, sending a quiet smirk at the vet. “You can see why I left it in there.” He left his jacket on the table next to the trap, leaning casually against the edge of the table. “I think the cat that I’ve been trying to trap got to the wing. Didn’t want to make it worse by trying to get it out.” He watched the bird curiously, wondering what was going to happen to it. it clearly wasn’t native, but he couldn’t be certain if it was an escaped pet or not, though that seemed rather strange too. Claire glanced at Cynder who appeared by now asleep in the sun, feeling the womans gaze the dragons eyes opened. The black creature ended up responding "fourty two years, three months, fifteen days give or take a few days" sitting up she yawned. Opening wings she lightly moved to land on the couches arm rest next to the man, it was then her mind brushed against killians Do not reveal what you know. Let the dice fall where they lay.... and Felidae, you will always have my love Cynder appeared to vanish however Claire didn't appear too bothered, instead she moved to the books beginning to carefully pick them up appearing solely focused on them. At being called an it the birds head snapped around gave a withering glare at the man who had lugged her here. Cocking her head she looked towards the other man, this one would be the one to open the cage would he not? She would tolerate help, but would not hesitate to strike out if she felt he was going to be like ice. Unconsciously her feathers fluffed out a little at the thought of that depraved creature, no needles, ice used needles they hurt she didn't want them. Where was her brother? the bird was tense and yet was not outwardly freaking out. Instead it almost had a cool outward look, dark eyes focused ont he new human. She listened intently to his explanation, having slid down to sit on the deck to study the photos. They were now just sitting in her lap, her hands resting around them carefully. She didn’t want to ruin them, not when the flowers were so pretty. “Why would that happen?” It made no sense. If the humans in the future knew that animals could vanish, then why make them vanish in the first place? She lifted the phots, hesitant to give them back, but she did, offering them back to him so he could keep them safe in his strange bag. “I’m glad I live in this time, then, if the future humans don’t understand that. Setting the books away she returned to see the terrified shadow, concern for the little thing brought her over to the young thing. Mana appearing on her shoulder, the shadow leapt off to turn into its favoured kitten form and sniffed the scared shadow before purring and running his tongue over it as well like what Cynder did when he was scared. "Is okie safe here! Cynder keeps the bad things away" he assured the other one hsi green eyes glittering surprisingly affectionately. He smiled sadly "Humans have never understood those rules, cats and dogs get free, sometimes they introduce species for the purpose of letting them go free and they take over the animals that are already there. Like rabbits or deer" he shook his head with a sigh "The world in my time is a mess, and people won't do anything to try and stop the catastrophe that is going to happen. They like to procrastinate thinking about it or just pretending its not there, thats why i take the pictures. To try and make them think about it" he paused and flicked through the ones she'd given back "Here, this one is a fire flower. Keep it, i have digital spares. Oh uh you wont know what digital is, I have spares" taking the picture he handed it to her "consider it an offering so you wont make me walk the plank" and with that his normal somewhat goofy side slid back into place. The bird had a look of boredom on its features, when the hand reached for her she offered a talon and let herself be pulled out and pinned. Not bothering to try and get free it lay there, listening to the woman prattle words she already knew. Although what was interesting was that she'd get sent back with the male until her wing was healed, her head snapped around at the mention of being released. This human would keep her out of trouble? She was an assassin not some garden sparrow, she kicked up a fuss as she realized she was to be shoved back into the cage. No! I will not go back in there! I cannot fly it is not like i am going to be able to run away!. Despite only having the one working wing the bird was strong when she wanted to be, and right now she wanted anything but to be in that cage again and so she resisted. Killian let the shadow twine around his fingers, knowing that the contact would help it feel safe, worried for his sister. “Something’s gone wrong,” he muttered, more to himself than to Claire. The shadow wasn’t a young one, and because it was usually with his sister, it shouldn’t have been scared of much, but something had obviously terrified it enough for it to return to him. Starting to feel tired, he glanced out the window at the sky, trying to gauge the time, and finding it difficult. That was enough to tell him that he needed to find a place to hole up and sleep, and comfort his sister’s shadow. With the falcon’s wing set and pinned securely to her body, Julian watched with interest as the vet tried to put the bird back into the cage he’d brought her in. Unsurprisingly, she resisted quite strongly until the vet sighed, letting he bird up. Taking the chance that the falcon would trust him more, Julian held the bird, one hand pinning her good wing to her side, the other covering her eyes to keep her calmer, and in a swift movement managed to get her into the cage again. Another quick enabled him to get his hands out without too many scratches, and the door was snapped shut again. “Thanks for your help,” he told the vet, draping his jacket over the cage and picking it up. “I’ll keep you posted on her progress. She seems strong enough to survive it though.” With a few last words, he headed home, humming to himself as he thought about where the falcon would be staying. She picked up mana and pet him for a moment, the man likely wouldn't sleep unless he had the sky above him. Or rather that was what the books had said about him "Theres the roof, but theres no cover from the sun. Perhaps the central park would suit you better, find a tree or something" she commented calmly enough. It seemed that she'd have to go into work after all, a text had come in and it was under her work load "Oh joy theres been a murder. Food is in the white rectangle box in the kitchen, mana should be around he is absolutely unhelpful when it comes to murders" she sent the cat a look before setting him down. He was free to tag along and help if he so desired, but she doubted that'd come to pass. He nodded "yep, at least two spares of every picture!" the mention about his time caused him to shrug "I like to think I'm trying to help, I take picturs of animals and plants the world is loosing and share them to try and make them listen" he tucked the other pictures away and paused a moment "you were singing before... can you read music?" he'd only heard a couple of notes, but he knew some songs from the future as well as having his trusty ipod which would likely be introduced as the magical music box. Momentary victory as the bird stopped resisting as soon as the vet stopped trying to shove her back in. However a hand covered her eyes and another grabbed her good wing, an outraged scream left the bird. Her struggling began with renewed vigor as she tried to free herself, no! I do not want to be in there, do not cage me! I have been in there long enough! however soon enough she was in there again much to her displeasure. When the jacket was placed over her prison she went to great lengths to first put a large hole in it and then make it fall off of her cell. Now that he’d read the books, he wasn’t surprised when she offered him a few places to sleep. He studied her carefully for a while, and simply nodded. He’d find his way up to the roof, a lack of cover didn’t bother him too much when he had his shadows around. As long as he was safe, and he could make himself a nest of sorts. Keeping his sister’s shadow close to him, he moved into the kitchen to scout out some food, his shadows starting to explore a bit more now that they were feeling better. Her violet eyes ran over the fire flower picture, the image reminding her of her home. “Thank you for the gift,” she finally said, getting to her feet. His mentioning of her singing made her go pale, but she answered after a moment, glad that she had her back to him now. “That’s none of your business.” Her voice had grown cold. Her music was for her and her fox, and no one was allowed to take that away from her. The movement of his jacket falling off the cage caught his eyes, and he moved the jacket back over the metal as he kept driving, preferring to keep the bird calm while she was in the car. He resumed talking to her softly on the trip back, and once he was home carried the cage inside and set it on the kitchen table. Finding the holes she’d made in the jacket, he simply sighed, and tossed it into the rag pile to deal with later. “Honestly, bird? It was only a short trip. Come on, out you come.” He opened the trap and left it open, waiting to see what she’d do. He shrugged "Alright sure, you probably can't read music anyway. Its too bad, the future has some good music" zipping up his bag he slung it over a shoulder and headed away. The bag was returned to the loot pile before he returned to the brig - there hadn't been a spare hammock available for him to fall into, so he'd ended up back in there again. It was hard to believe this was all happening, he was on a ship, had worked and was among pirates that wouldn't hesitate to kill him. Snake would ahve loved it, turning onto hsi side and slipping one arm underneath his head he sighed tucking his other arm up close to him "Should try to get home soon as, that australian feller wanted them pictures of his stallions. Them here want their first mate back as well" yeah everyone would be happier once that was sorted. The bird settled a little listening to the man talk quietly, she didn't understand everything he said, he used weird jargon and his accent was still hard to grasp. The growling noise stopped again and she was carried into what sounded like a house. Set down on the table the jacket was removed, he didn't seem overly upset about the item of clothing she'd carefully destroyed however she was surprised when suddenly she was allowed out. Blinking she carefully exited the cage and stood on the table taking in her surroundings, stretching out her good wing relieved to have the space to do so it was folded back away. Once she'd taken in everything and was thoroughly confused by about eighty percent of it Melissa moved away from the cage not wanting to risk being unceremoniously and quite rudely shoved back into it. She stiffened again at the jab to her pride, though she didn’t respond to it. She knew full well how to read music, her father had taught her, and her flute was carefully tucked away in her cabin where no one would be able to find it. Returning to the wheel, she shut her eyes, almost feeling tired. Perhaps it was time for her to leave the seas and take up the family business. It would keep her safe, she just wasn’t sure she’d satisfied her wanderlust yet. Besides, her first mate was still missing. He watched her as she figured herself out. Once she was clear of the trap, he took it off the table and put it outside, ready to be freshly baited and put back on the trail. Knowing that he’d have to get her a proper cage to live in, at least at night, he put that to the side. “Bet you’re hungry, aren’t you? Dunno how long you were stuck in the trap for.” He poked around in the fridge, soon coming out with some meat that had been intended for the dogs, but that could wait. It was a treat for them, anyway. “Here you go.” Pulling out some newspaper, he layered it thickly over the table and put the meat on it before he moved into another room to get a few bits and pieces of wood. While he worked out what cage to get, he’d fashion her a perch to sit on for now. Food? yes, sustenance would be greatly welcomed, moving around on the table as he walked off she didn't hop down from the table disliking how undignified she looked walking as a bird. She waited until his fingers were out of the way before moving forward and beginning to eat, she ate until her belly was full and her thirst sated from the meat she moved around wondering what the human was going to do now. She'd been about to discover what some of the things were in here when he returned. She began preening what feathers she could, a brown eye constantly watching what the male was doing.